Hell hath no fury when a woman is scorned, and to curb her from destroying the world, we have Hellboy, a demonic beast-turned superhero, who secretly works for the BPRD (Bureau of Paranormal Research and Defense) to keep the world safe from paranormal threats. 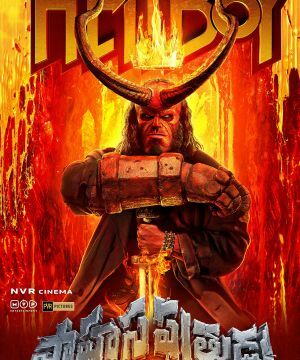 That's the story in a nutshell, of Neil Marshall's film, which is based on the Dark Horse Comics' character, Hellboy. Set in England, the story is not as simple as it sounds in the above one-liner. The lady in question is the Blood Queen Nimue (Milla Jovovich), an evil and wicked sorceress who was killed by the mighty King Arthur. Subsequently, her dismembered body was packed in caskets and buried in different parts of the country. 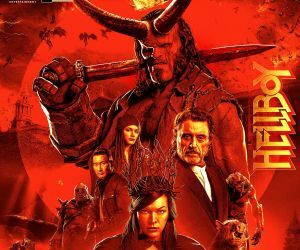 Now centuries later, while Hellboy is busy hunting giants in the English countryside, he confronts a decaying witch called Baba Yaga and reconnects with the young psychic Alice (Sasha Lane) whose life he had once saved. These two, accompanied by Ben Daimio a rugged Japanese-American military member of the BPRD., form a team to keep the demons at bay from the humans. Their journey cross paths with Gruagach, a hog-like fairy who is loyal to Nimue and eventually takes them deeper than you expect into the Arthurian lore. The plot touches upon issues like; Hellboy's origin and his relationship with his adoptive father who is now the head of BPRD. The screenplay is definitely disjointed and convoluted, set on a cheesy rock-soundtrack. So, all the fascination, the mythical spirit and the consciousness of enjoying the journey to the distant and legendary worlds are lost along the way. 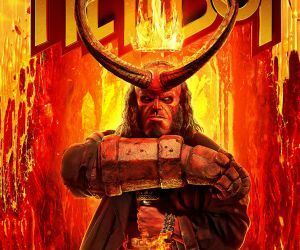 Dominated by a gimmicky and artificial desire that runs through the shell character of Hellboy, the inspirational-superhero trait, is missing and the experience appears sterile, despite his tough exterior and tender-side. What makes the character endearing and relatable though is his sulky half-demon-half-man-child-like behaviour. 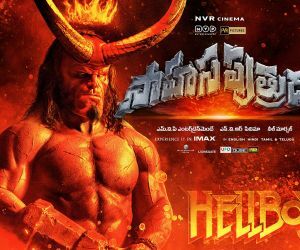 While the demons look ghastly with their special effects and bizarre make-up, they vibrate with energy as they skip light heartedly through the action scenes. The fight sequences which are brash, noisy and violent though astutely choreographed, are worn down by a feeling of, "seen it before." Also every time Hellboy grumbles, there is more noise and less emotions, forcing a sound in which no one believes. The soul is definitely missing during these moments. Overall, this film will appeal only to its comic book fans.